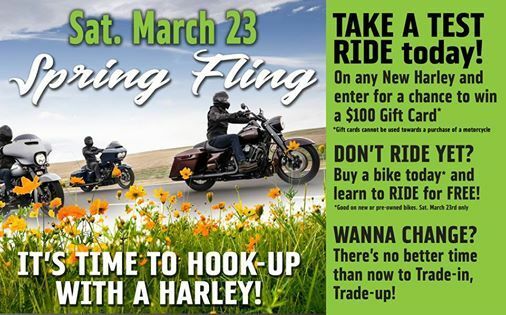 It’s time to hook up with a Harley at our Spring Fling Event! Take a Test Ride today, on any new Harley, and enter for a chance to win a $100 Gift Card. Don’t ride yet? Buy a bike today and Learn To Ride for FREE! There’s no better time to Trade In and Trade Up!